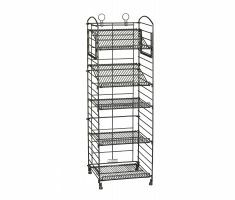 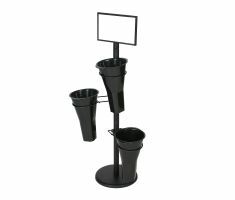 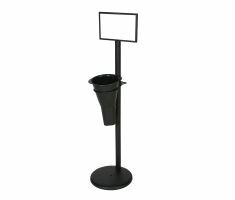 Whether you are looking to showcase a single vase on a free-standing pole or a flourishing “wall of flowers”, our Floral Display Racks are for you. 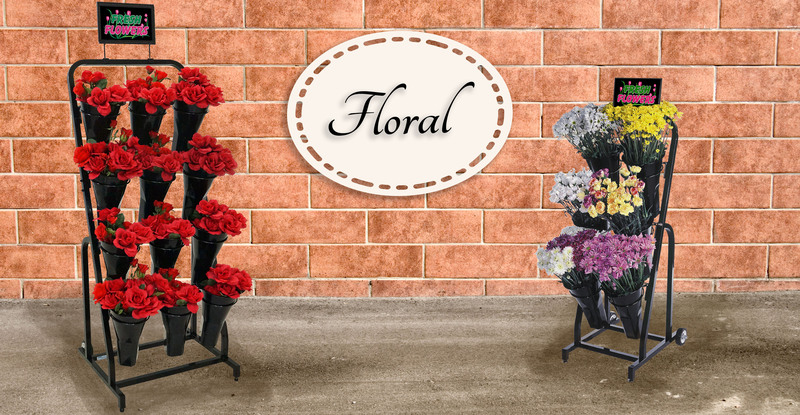 Our monochromatic displays will make your floral pop! 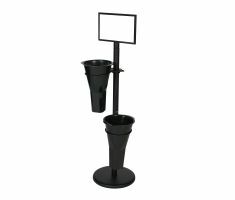 We offer tons of different orientations and sizes all for great low prices.